Student Diversity Office Responds to Allegations of "Exclusive Language and Behavior"
Alanna Demetrius | The Phoenix The nature of the allegations of "exclusive language and behavior" is unclear. Administrators in Loyola’s student diversity office responded to alleged “exclusive language and behavior” last spring, according to an email sent by the office’s director, which was later obtained by The Phoenix. The exact nature of the alleged behavior is unclear. The director, Joe Saucedo, didn’t respond to questions. Staff at Loyola’s office of Student Diversity and Multicultural Affairs (SDMA) closed the resource room — a place for students in SDMA to hang out and do homework — for 24 hours April 17 after allegations of “patterns of exclusive language and behavior” and “policing of individuals’ identities in the space specifically regarding who can or cannot be present in the resource room,” according to the email. 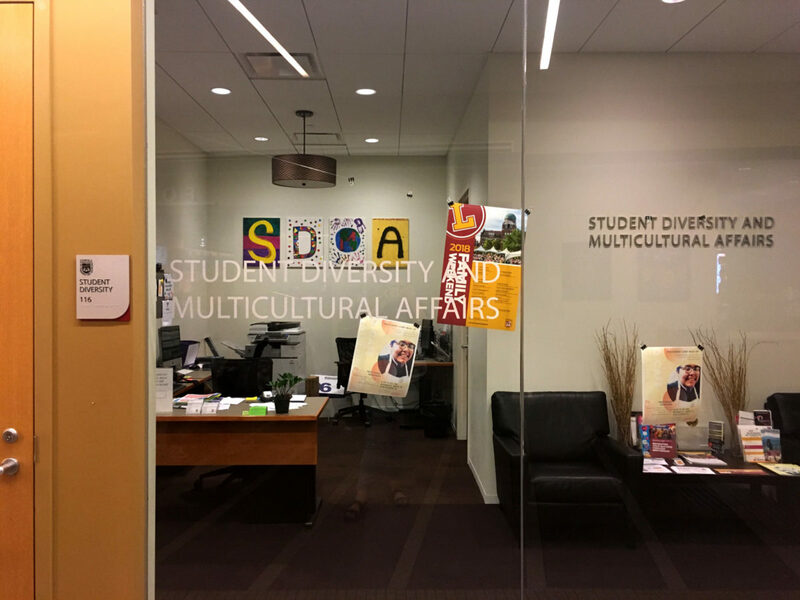 SDMA is a department on campus which aims to teach students to be inclusive and build community with people of different backgrounds; the program provides mentorships, academic support and various resources on campus, according to its webpage. The resource room, located in room 116 of the Damen Student Center, is one way students in SDMA can engage with each other on campus, according to its webpage. Moonis Nadeem, a sophomore studying neuroscience at Loyola who said he’s been in SDMA for two years, said he uses the resource room regularly. In Saucedo’s email to members of SDMA, he urged community members to take a stance against behavior that contradicts SDMA’s missions and values. Saucedo didn’t respond to questions from The Phoenix as to the specific nature of the alleged behavior. Graduate assistant Tristen Hall, who works specifically with a program for first generation students of color who identify as women in SDMA, echoed Saucedo’s desire to resolve and prevent any behavior harmful to SDMA community members. “We want everybody to feel safe and welcome in SDMA, and if there are any things that … disrupt that, that would be our first priority to kind of address those issues and see how we can move forward,” Hall said.